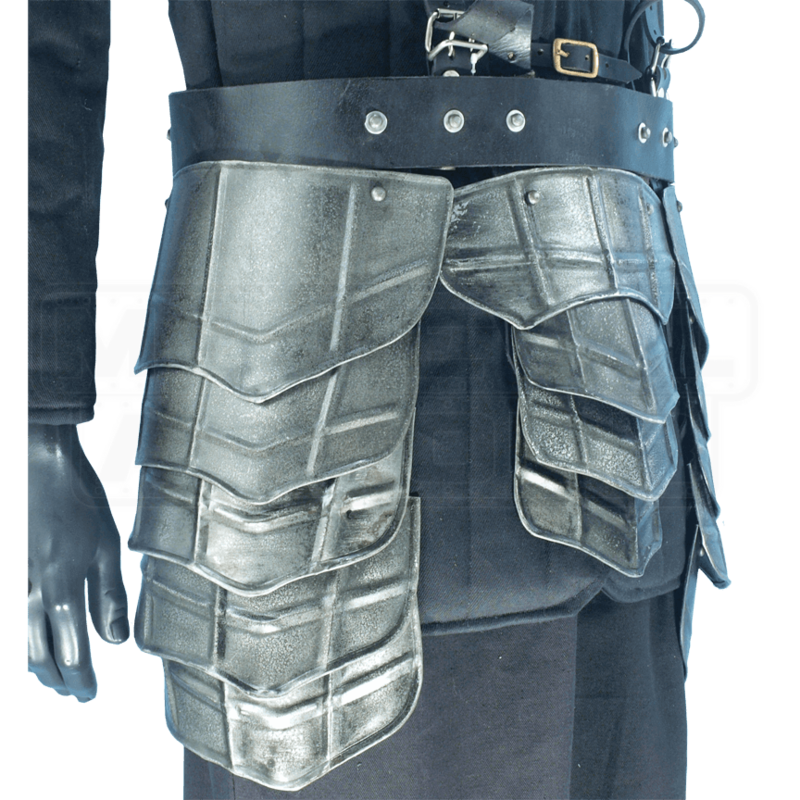 No breastplate is required to wear the Dark Drake Tasset Belt. Suspenders fit over the shoulders and the belt wraps around the waist, creating a unique look. Its versatile design allows more freedom in creating your LARP character. Crafted from 18-gauge mild steel, the tassets feature a dark metal finish that is resistant to scratches and rust. 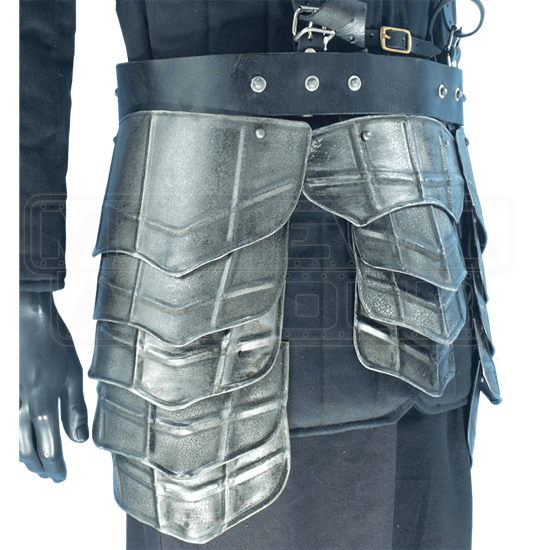 A scale-like pattern with raised ridges, rivets, and rolled edges increase the deflection capability of the thigh armour. Multiple plates overlap each other and form three main sections, providing protection to both thighs and the groin area. The Dark Drake Tasset Belt matches perfectly with the Dark Drake Steel Greaves and the Dark Drake Steel Arm Bracers.